Fully biologically active when compared to standard. 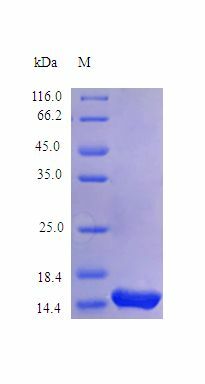 The ED50 as determined by a cell proliferation assay using human TF-1 cells is less than 1.0 ng/ml, corresponding to a specific activity of > 1.0 x 106 IU/mg. Store lyophilized at -20°C. The reconstituted product can be stored for short term at 4°C or long term at -20°C or below. Avoid freeze/thaw cycles.